Just had a leaflet drop from Tesco with the local free paper with Kosher and Passover offers. 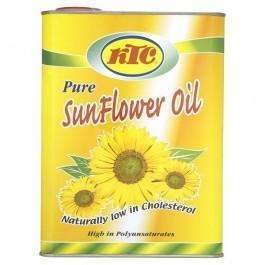 KTC Sunflower Oil is listed at being half price down to 82p for a litre bottle. Cannot see this is online. My local store is in Harrow. At this price I bet a lot goes into diesel engined cars etc. It will definitely be going in ours! I bet you cant find the deal in your Tesco, i never can in mine. The picture is a tad misleading op. offer is on now. I guess with my local tesco, you have to head in there first thing because they are awful at restocking and unlike Morrisons they do not seem to place limits on purchases. Cananyone confirm this price? I'll believe it when I see it! Scanned at £1.49, and this was at the store mentioned by the OP. So offer hasn't started yet. Is this stuff made from GM sunflower? Great deal OP , have some heat . And a Chag Pesach Kasher VeSameach to all our Jewish HUKD's - keep up the great work. Only cheap if you can find it!